The Aviation Extravaganza that is the Air Tattoo! The 2018 Air Tattoo was a different event to that which many of you know - as we came together to celebrate one hundred years of the Royal Air Force in true Air Tattoo style! The RAF100 Air Tattoo was a special one off event and for 2019 we return to our previous well loved format with Friday being a preview day with a limited number of tickets and flying display highlights (4 hours) with the green zone not accessible as aircraft are still arriving and being positioned there. Please note that we are closed for Easter and will be returning on 23 April. On Saturday and Sunday the show is open for 12 hours with an exciting 7+ hour flying display and the full showground open including our highly regarded STEM area; Techno Zone, hands on RAF Experience and nostalgia filled Vintage Village (these are also open on Friday). We have kept our FREE entry for accompanied under-18s from 2018 and FREE parking for ticket holders, so as always the Air Tattoo offers a great value for money exciting day out for all the family. 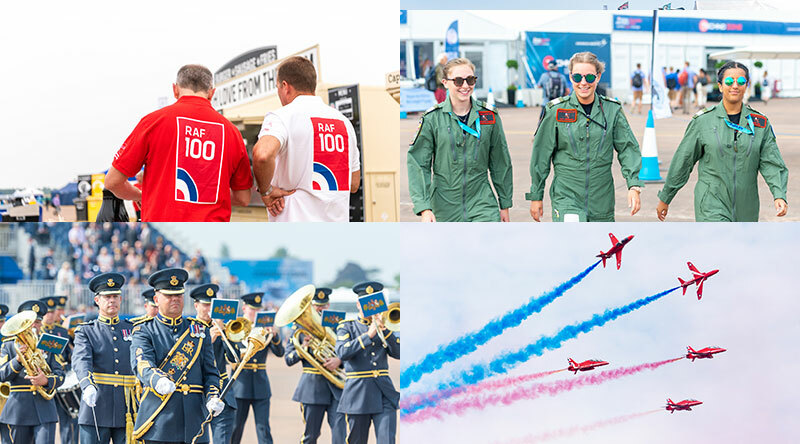 Find out about RIAT 2019 and the changes compared to our official RAF100 event in 2018. Read the experiences of people like you! Here you will find our video and photography archive from the current show through to previous years - relive that moment!